Sometimes, you need to create a stunning video for your friend’s wedding or some important party; or you just want to share it on the social media to attract some followers. No matter what reason it is, you are absolutely in need of a useful video or movie maker. There are many online or offline video makers on the Internet, some of them are free, and some of them are paid. If you don’t want to install any application to make your computer slowing down, you can choose an online video maker. To help you save time, here we pick out top 5 free online movie makers, so that you can choose one to closet meet your needs. This is an ad-supported free online movie maker and video editor. 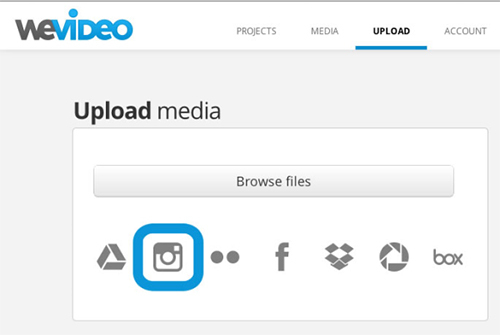 The tool allows you to upload your own video clips, music and photos and then combine them together. You can trim the video easily, but if the sound track duration is longer than that of video tracks, the sound track will be splitted automatically. Other advanced editing features like fade in and fade out, filters and transitions are also offered to make your movie interesting. 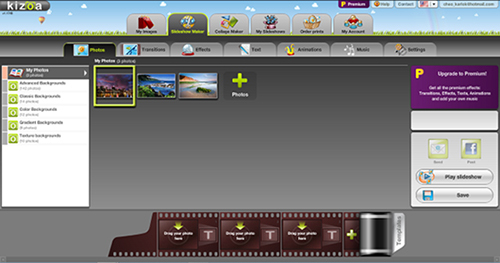 Kizoa is an easy-to-use online movie editor that enables you to cut videos into clips, combine videos, photos and music, add special effects and animations and overlay audio and music to your movie. Kizoa provides dozens of movie-video templates and you can also customize a template as you wish. After finish editing your movie, you are allowed to share it by Email, or to Facebook, YouTube and other social platforms. Alternatively, you can also download it as video or burn IT to DVD for watching in the future. WeVideo is a cloud-based online movie maker that can be easily used to create a wonderful movie in minutes. You need to sign up for a free account to get started, but it won’t take long. You can import your video, photos or audio clips from the local folder, cloud storage or social sites like Facebook, Instagram, etc. You can also record the video and audio by using webcam and microphone. There are numerous templates and themes for selection, with lots of transitions and overlays to make your movie outstanding. 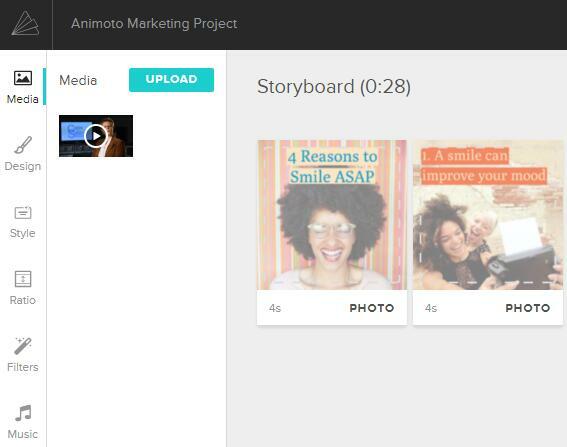 Animoto can help you create beautiful videos with ease in your browser. It provides two kinds of videos - Animoto Memories and Animoto Marketing. The former allows you to make slideshow-style video to share with friends and family, while the latter lets you produce unique and branded videos for business. Before getting started, you need to sign up and get a free account. There are some storyboards for you, or you can start from scratch. After upload your video, you can add watermark, music and filters to your movie, and edit the video until you’re satisfied with it. 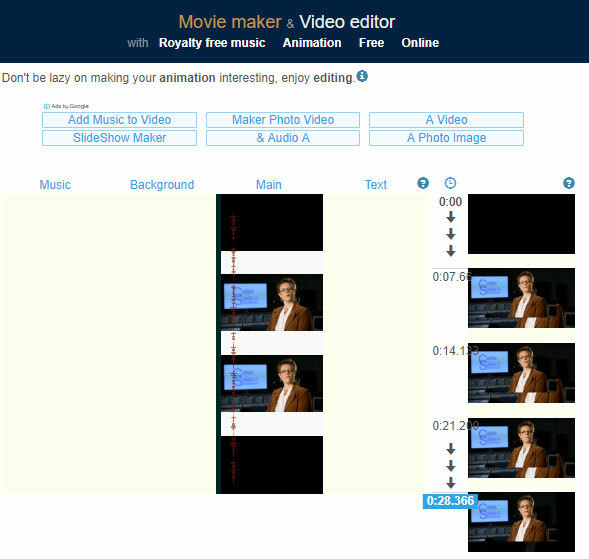 This is another simple movie maker online that lets you make a high quality video in no time. After signing up for free, you can start to produce a video for advertising, presentation, introduction, business explainer or make a slideshow, etc. You can add scenes to your video, change the texts of each scene, adjust the color, and select a sound track for your movie. Before you export your video, you can preview it, but the build time is a little long and the final video is watermarked. Making a movie online is easy but the most of the free versions have many limitations and free online movie maker no watermark is almost few. And once you upload some media files like photos on the Internet, your privacy may be leaked to the Internet. 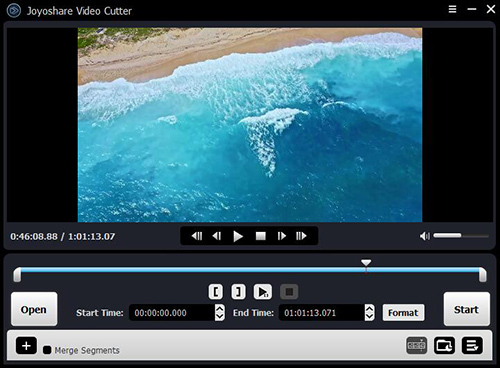 Thus, if you choose to create a video by using a desktop video editor program, here I will highly recommend an easy to use yet powerful one named Joyoshare Media Cutter. 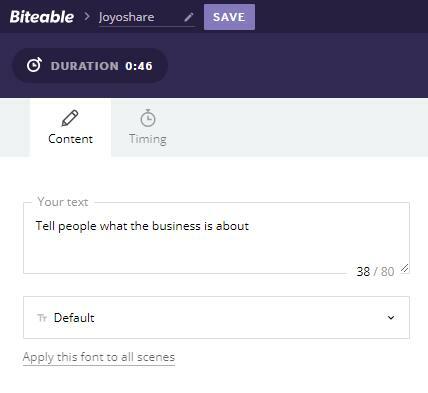 Joyoshare Media Cutter enables you to cut videos into pieces, remove the unwanted parts and join several video clips together without quality loss at a fast speed. You can also apply more advanced editing features to the video, such as rotate the video, change the aspect ratio, add new audio to the video, apply special sound and video effects, etc. Joyoshare Media Cutter also has a free trial version, with no watermak on the polished video.